Gov. Greg Abbott's campaign described the buy as the first investment in a fall ad blitz. His latest campaign finance report also showed he had nearly $30 million in his campaign fund as of last month. Texas Gov. Greg Abbott's campaign has laid the groundwork for a large general election ad blitz, reserving $16 million in TV time for the fall. That is according to his latest filing with the Texas Ethics Commission, which showed the Republican governor's campaign on June 27 paid $16,151,362 to a media firm based in Alexandria, Virginia, for "political advertising." 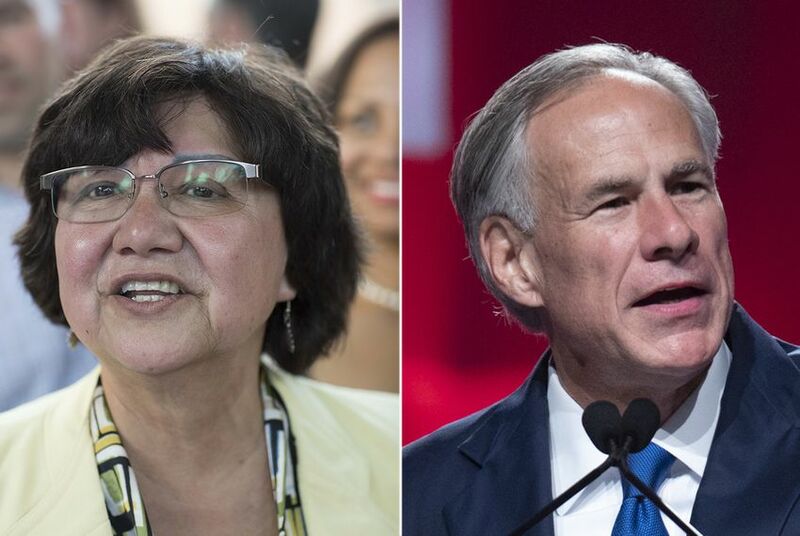 Abbott aides confirmed the money is intended for TV ads in the final weeks of his re-election race against Democrat Lupe Valdez. Abbott's total spending for the latest fundraising period, Feb. 25 through June 30, ended up topping $22 million. After raising $10.9 million, he ended the period with $28.9 million cash on hand. In a statement, Abbott's campaign said it "will be working hard to not just ensure victory for Governor Abbott this fall, but help Republicans up and down the ballot." Abbott spokesman John Wittman said the $16 million buy represents the "first wave" of the campaign's investment in TV ads for November. "As they say in Texas, this is a good start," Wittman said. Valdez, the former Dallas County sheriff, has not released her latest fundraising figures yet. She and other state candidates have until the end of Monday to report their numbers to the ethics commission.